Aye, matey! Are you looking for a super snazzy stationer in the Pennsylvania area? If so we highly suggest you pop on over to Creme Fraiche Design and sneak a peek at their custom wedding stationery. Here is just a little taste of what they have to offer. 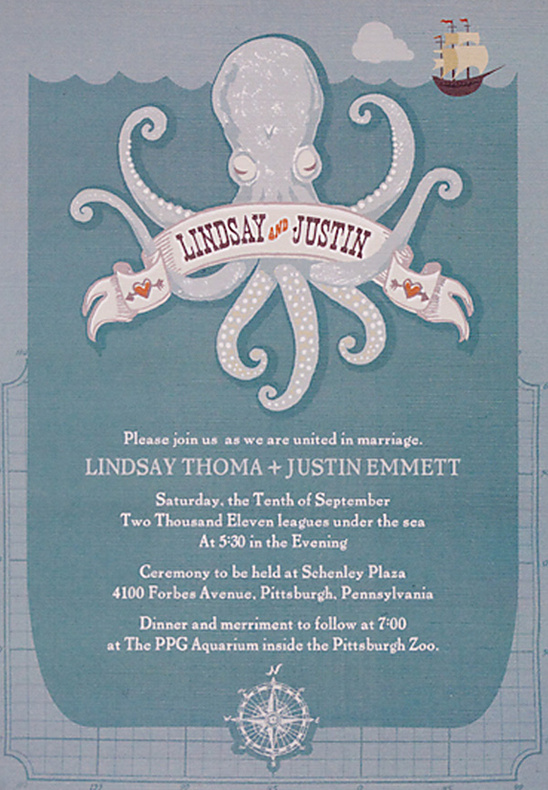 An invitation suite designed for a wedding at the Pittsburgh PPG Aquarium. So what would be more fitting than an aquatic theme? 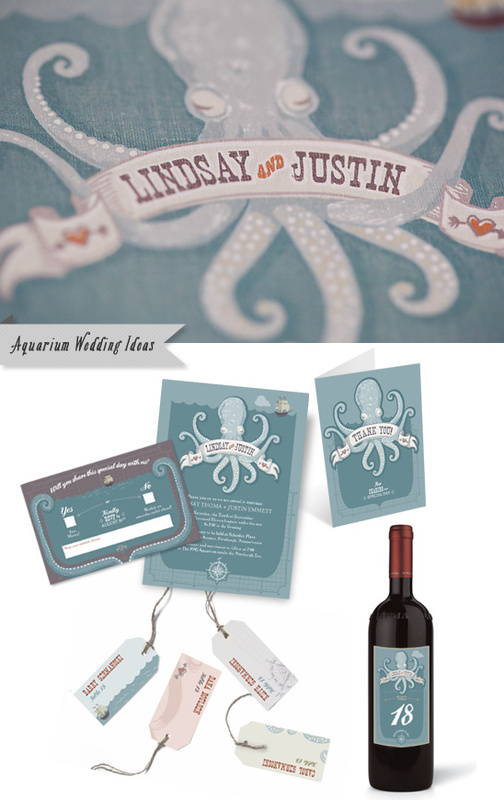 The package includes a vintage, tattoo-style illustration of an octopus with muted colors. The theme was applied to wine labels, favors, invitation and RSVP cards. There's even a "treasure map" to lead guests from the ceremony to the reception.How fun is that? 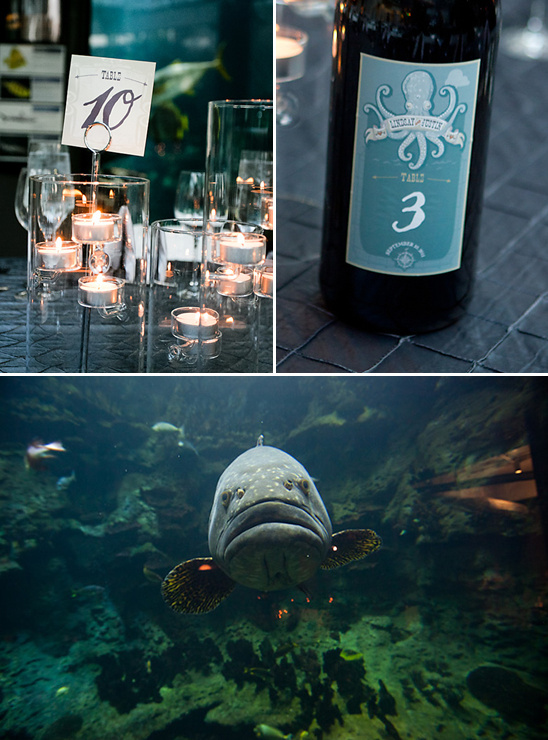 Such a fun idea to have a wedding in Aquarium surrounded by all the colorful fish. To see more Pennsylvania Wedding Invitations from Creme Fraiche Design be sure to click here.